This is a one of a kind item featuring a Gypsy Cob for the diehard fan! 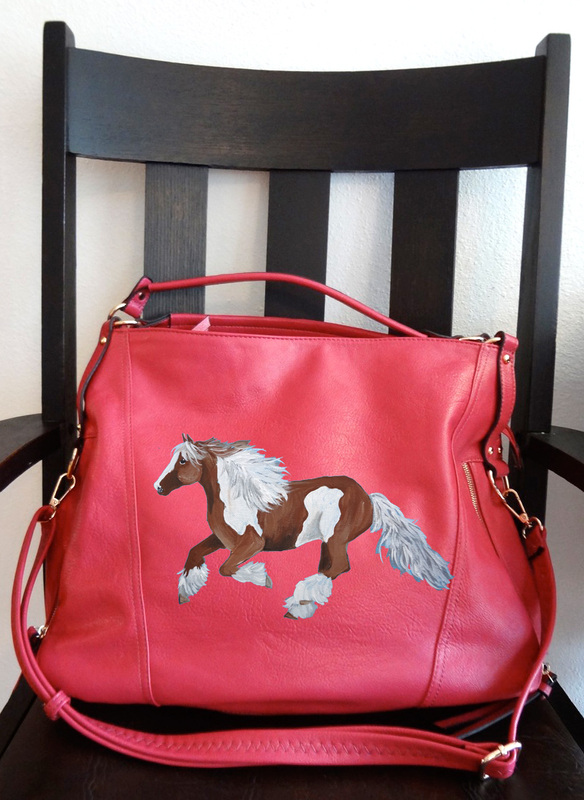 It is hand painted on a new, super soft, coral pink handbag. The purse has a zip closure for the main compartment. Measurements are 16" wide and 14" tall with 1, 6" strap and one shoulder strap. The artwork is sealed and signed by the artist. Your horse's name can be added below the horse.